WHEN THE FOOD BECOMES A VAUNT! OFFER UNIQUE HAMS TO YOUR CUSTOMERS. 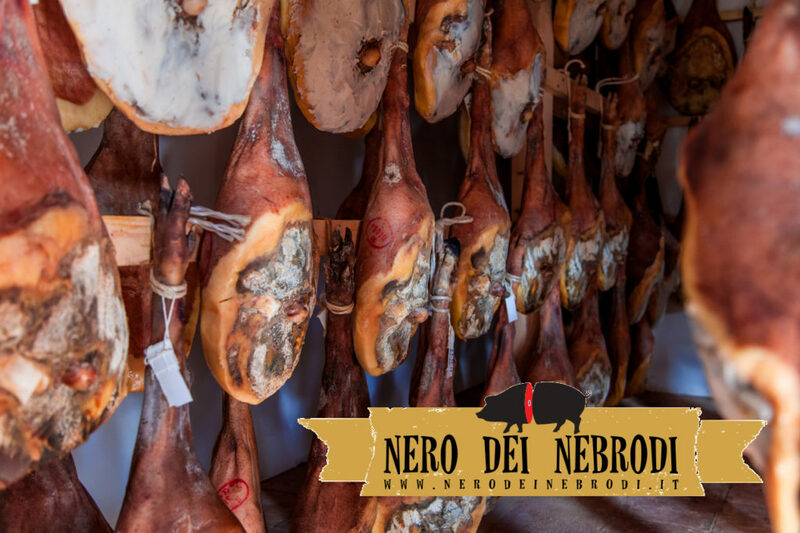 The Nebrodi Black Pig Ham is not just a matter of nutrition and nourishment because you know that it is necessary to know where the food on your table comes from. It is also fundamental knowing if products are natural or if they are implemented with additives and preservatives! Above all you have to check if you are eating an Italian product or a passed off as such one! What does it mean you do not have to trust those who sell Nebrodi Black Pig hams online? But no, you just need to sharpen your mind and to go looking for a company that has been working in the food industry for many years (16 exactly),whose products have clearly visible and reliable nutritional facts! We also guarantee you a ‘satisfied or money back’! The secret for excellent products like our Nebrodi Black Pig Hams are simple ingredients (wild fennel coming from our mountains, black pepper, red pepper, and coarse sea salt) and the raw material (the Nebrodi black pig meat). traceability of the product through the lot, the meats have a slaughter and origin certificate and also the name of the producer. They have always told us that sausages are dangerous because of their high cholesterol rate. But ours is a mostly healthy fat, which plays an important protective action in the human body. I’m not claiming it without evidences. The Department of Medicine and Veterinary of the University of Messina has carried out a series of studies on Nebrodi Black Pig. This studies have showed that the Nebrodi black pig meat has a cholesterol rich in iron. This is a good cholesterol (HDL cholesterol), due to the wholesomeness of what the pigs eat and also due to the natural habitat in which they live. Although they present a larger quantity of fat than that of ‘light pigs’, Nebrodi Black Pigs have a definitely superior quality. This is because the meat is richer in iron and this is noticed by its red color. Increased water retention indicates a better quality yield when this meat is cooked and manufactured. What does this mean? The meat has an excellent consistency when cut.